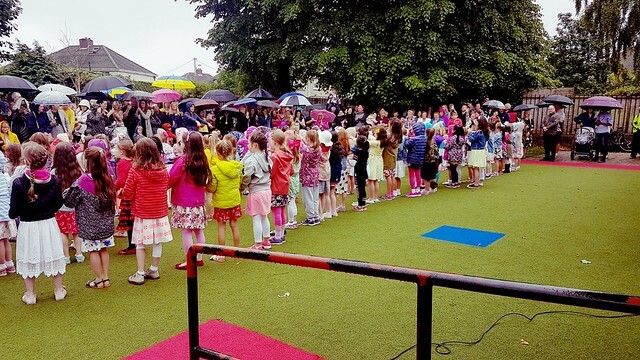 Our Jun Inf, Sen Inf and 1st classes braved the poor weather this morning to perform for their parents in the yard! The girls and their teachers sang and danced along to eight popular tunes including 'Roar', 'Bare Necessities' and 'can't Stop the Feeling'. What a performance! Well done to all involved, the parents really enjoyed it! Click on the image below to view more photographs and some videos of the performance..